Moving a research lab can be a huge headache. Equipment needs to be dismantled. Experiments are put on pause. But for former UC San Diego materials science and engineering Ph.D. student Laura Andersen, her lab’s move opened up an exciting opportunity—a summer internship at NASA Jet Propulsion Laboratory, better known as JPL, developing wear resistant gears for spacecraft. It was the summer of 2012. The Department of NanoEngineering was making its big move to the newly constructed Structural and Materials Engineering (SME) building, right next to Warren Field. At that time, Andersen was a second year graduate student doing materials research in the lab of nanoengineering professor Kenneth Vecchio, whose lab was located in the basement and second floor of Engineering Building Unit 2. With four rooms worth of materials engineering machinery, including a melting furnace, welding machine, X-ray diffractometer and electron microscopes, the move across the street to the SME building was not going to be a quick haul. That also meant the lab’s research was going to be put on hold for at least three months. But the timing couldn’t have worked out better for Andersen. One of Vecchio’s former students, Douglas Hofmann, had just started his own materials development lab at JPL. Hofmann was exploring new materials to create wear resistant gears for space vehicles and planetary rovers. His research focused on a particular class of materials called bulk metallic glasses, which also happened to be the focus of Andersen’s Ph.D. thesis. This was a good opportunity both for Andersen to continue her work over the summer and for Hofmann to bulk up his research efforts, so Vecchio connected the two. Making gears for spacecraft comes with its own set of challenges. Researchers have to find materials that won’t easily wear out when operating under extreme space conditions, like vacuum and cryogenic temperatures. Curiosity is currently equipped with steel gears, which need to be lubricated to avoid wear and tear. But the gear lubricant needs to be heated in order to operate at the low temperatures on Mars. This is a huge power issue, Hofmann explained, because Curiosity spends 30 percent of its discretionary power to heat the gear lubricant. The heaters also make the rover heavier, adding approximately 100 kilograms of mass. “Every morning when we turned on the Mars rover, we had to let the gears heat up before the rover could drive. We lost a lot of capability and it was frustrating,” Hofmann said. 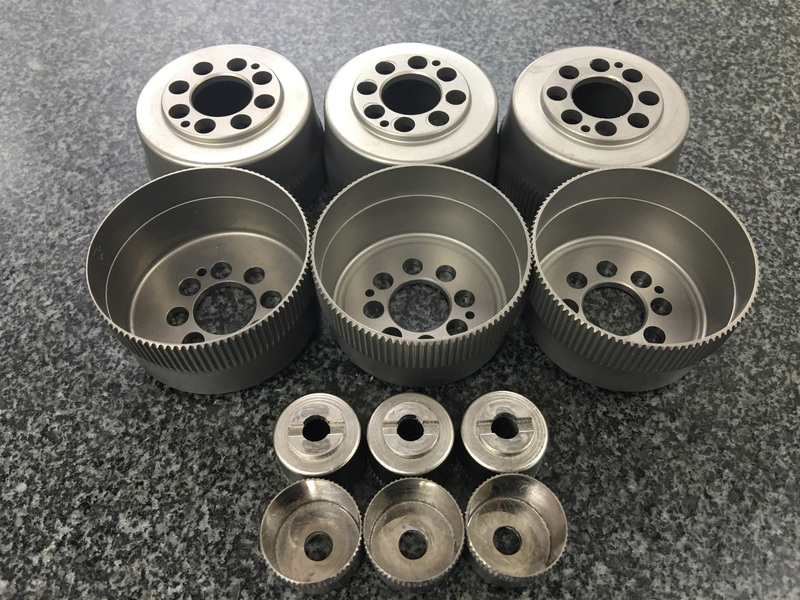 So Hofmann, Andersen and colleagues set out to develop materials to make gears that are highly wear resistant and don’t need lubrication. Their approach was to investigate bulk metallic glasses, which are metal alloys that have a random arrangement of atoms (like glass). This random atomic structure gives bulk metallic glasses a number of desirable properties, including excellent resistance to wear, high strength, high hardness and resistance to deformation and fracture. Despite these attractive features, bulk metallic glasses have largely been used so far to make cosmetic parts such as electronics casings. They have generally been considered too brittle to be used in structural parts. But not all bulk metallic glasses are the same, Andersen said. “Bulk metallic glasses are all often thought of as one type of material having the same properties. But in fact, they are a diverse class of materials, with properties varying drastically depending on their atomic makeup. You just need to find the right composition for the right application,” she said. The team screened and tested more than 30 types of bulk metallic glasses to find the ones best suited to make spacecraft gears. They discovered that a particular variety, made of copper and zirconium, produced the most robust gears—their wear resistance is 60 percent better than that of the steel gears currently used in the Curiosity rover. The new gears also showed great promise in simulated Mars environments. According to Hofmann, NASA plans to use the gears in future spacecraft. “We’ve basically shown how to make gears out of metallic glass,” Hofmann said. When Andersen returned to UC San Diego in the fall of 2012, she was able to continue working on the project since Vecchio’s lab also had all the necessary equipment to fabricate and characterize the same samples she was studying at JPL. Her research also focused on the basic science to understand why that particular copper-zirconium-based bulk metallic glass worked so well in gear applications. 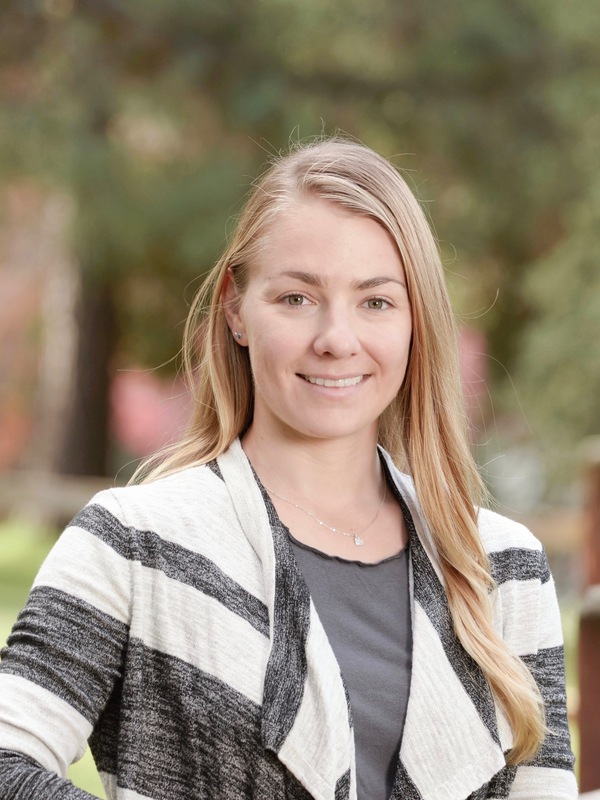 The findings were recently published this October in the journal Advanced Engineering Materials and became part of Andersen’s doctoral thesis, which she defended in August this year. “The internship experience made me a more confident and well-rounded researcher. It allowed me to see my work in the big picture and how it could impact society. It’s rare for a Ph.D. student to be able to leave their lab to do an internship, but my advisor was very encouraging,” Andersen said. And the opportunities didn’t stop there for Andersen. In 2015, she worked as an intern at Apple, using her expertise in materials characterization and failure analysis to study metals for enclosures for iPhones, iPads and MacBooks. Now, she is a materials test engineer for Tesla, working on an array of metal, plastic and textile materials for use in cars.